This Sunday at 12:00 a.m. at the Angela Peralta Theater, the 2019 Gordon Campbell Season will bring for the first time to Mazatlan one of the most famous oratorios in history: “The Messiah”, by Georg Friedrich Händel. Tickets for “El Mesías” cost 350 pesos (orchestra, first and second balcony) and 50 pesos (third balcony). 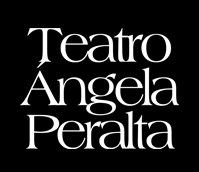 They can be obtained at the Angela Peralta Theater box office from 9:00 a.m. to 2:00 p.m. and from 4:00 p.m. to 7:00 p.m.
El Teatro Ángela Peralta, erigido en la era Porfiriana en el puerto de Mazatlán, Sinaloa, es uno de los más bellos y auténticos en su género en nuestro país, declarado Patrimonio Histórico de la Nación en 1990. Message: Access Not Configured. YouTube Data API has not been used in project 493938631459 before or it is disabled. Enable it by visiting https://console.developers.google.com/apis/api/youtube.googleapis.com/overview?project=493938631459 then retry. If you enabled this API recently, wait a few minutes for the action to propagate to our systems and retry.